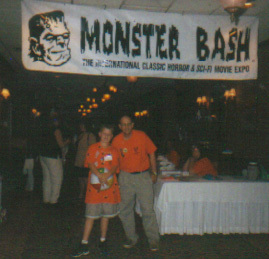 The 2000 Monster Bash featured Guests of Honor Beverly Garland, Dolores Fuller, Ben Chapman, Bob Burns, Tom Savini, Ron Chaney, Gary Don Rhodes, Monster Bash make-up artist Ron Chamberlain and many more. 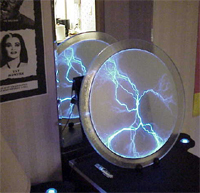 It was a tribute to 1950s Sci-Fi films! Dedicated to my parents (Tom & Janice Adams) - true children of the 50's! We had a rockin' beach party in the sand out back of the hotel that was an atomic-age hit! 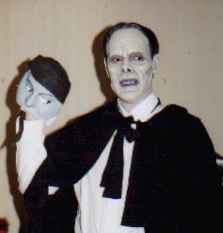 Kevin Slick brought the Bash Opera House down again (in full Phantom make-up by Ron Chamberlain) as he performed live his new score for the PHANTOM OF THE OPERA (1925). 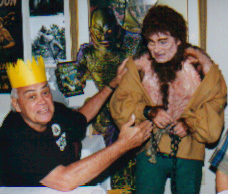 Ron Chaney debuted his short promotional movie, CURSE OF THE WOLF MAN, with him as The Wolf Man! What a blast! Thank you attendees, dealers and staff! 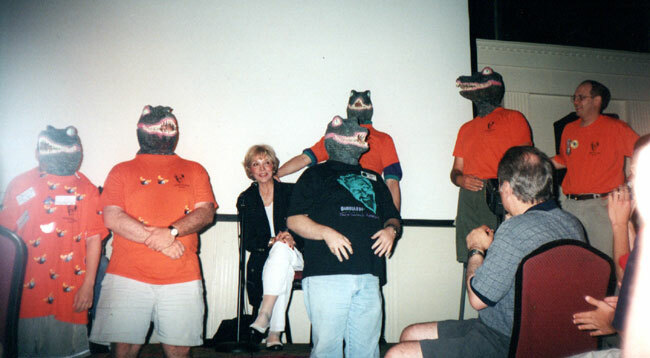 At the end of Beverly Garland's Q&A, her old friends, "The Alligator" People joined her! 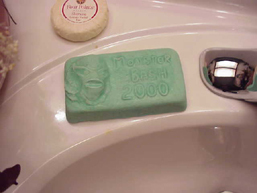 Welcome to the Bash! Travis O'Conner and Ron Adams. 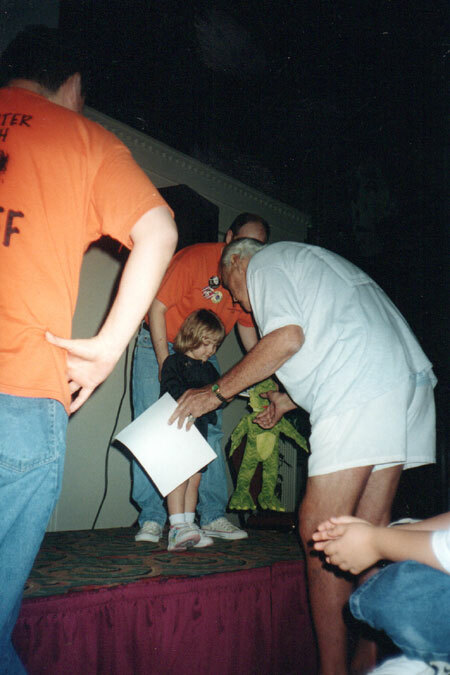 Paisley Adams introduces Ben Chapman (CREATURE FROM THE BLACK LAGOON) on stage at Bash. That's Ben leaning over to give her a hug. 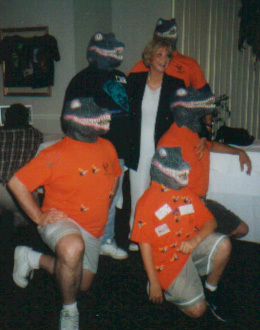 THE ALLIGATOR PEOPLE in our Guest of Honor room! The delightful Dolores Fuller and attendee Joe Busam Jr. 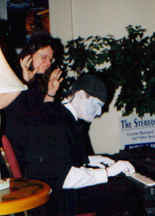 The unmasking, Kathy Morrow as Mary Philbin, Kevin Slick as Lon Chaney! 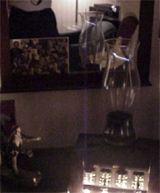 Kevin Slick is The Phantom. and Ron Chamberlain as the Hunchback! 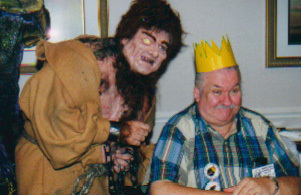 Quasimodo and maker of monsters - Bob Burns! Sorko and Gary P.'s Old Dark Clubhouse room!